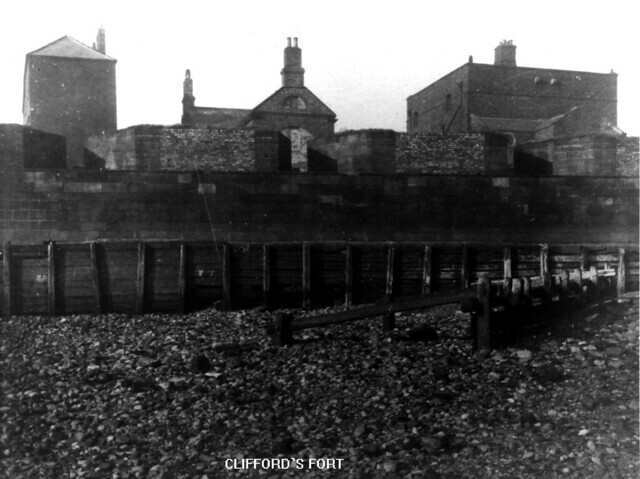 Clifford's Fort was a gun battery and military barracks built to defend the mouth of the River Tyne, at the east of the Fish Quay area of North Shields. The fort was built in 1672, on the site of earlier defences, during the Anglo-Dutch Wars. 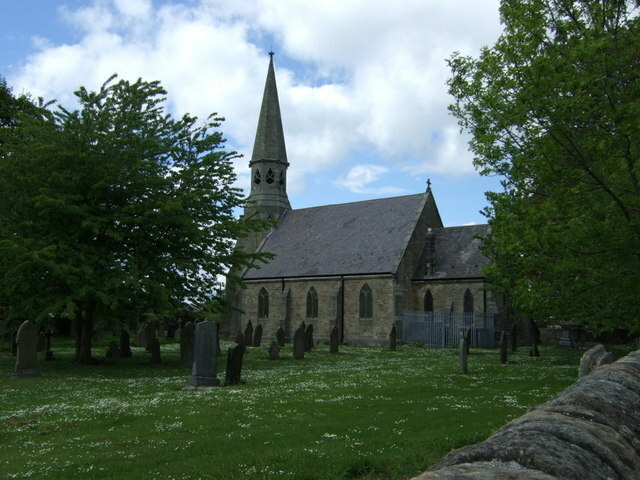 It was named after Thomas Clifford, who was Lord High Treasurer at that time. The fort was used as a gun battery until 1881, but had become obsolete after the building of Tynemouth pier. 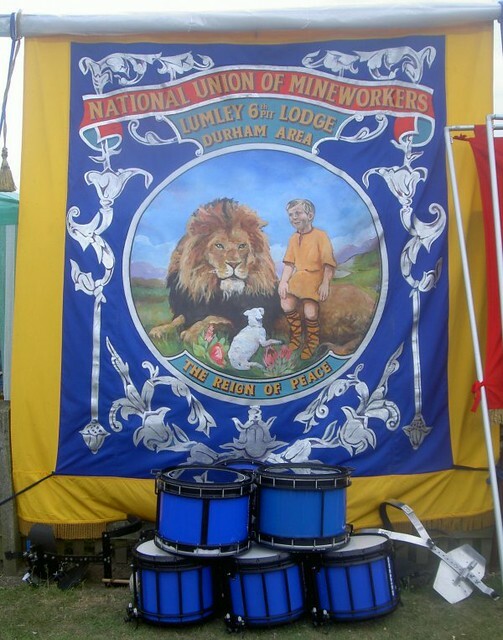 Then, in 1888 the fort became the headquarters of the Tyne Division Royal Engineers (Volunteers) Submarine Miners, responsible for laying explosive mines as port defences. Clifford's Fort stopped being used as a military base in 1928. Today Clifford's Fort is a Scheduled Ancient Monument; surviving features include the south/east facing walls, and west walls (both sections of wall are Grade II* listed), the Smoke house (a former C19th barracks building; Grade II listed), and former mine store buildings. Also on the site are Almshouses, which were converted in 1830, from a lighthouse of 1775 (Grade II listed). Clifford's Fort was a defensive gun battery established near the mouth of the Tyne during the Anglo-Dutch Wars in the 17th century. 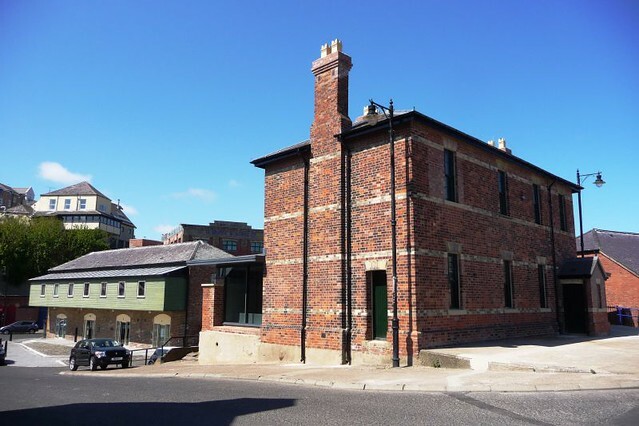 It subsequently served as a submarine mining depot and survives today as a Scheduled Ancient Monument in the historic Fish Quay area of North Shields, Tyne and Wear, in North East England. 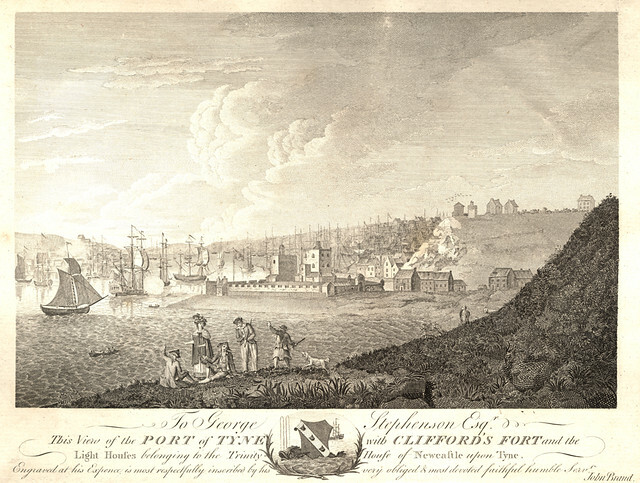 Named after Lord Clifford of Chudleigh ('Clifford of the Cabal'), the new fort was built to the designs of Anglo-Swedish engineer Martin Beckman. It consisted of a raised platform, walled and with a three storey redoubt, protecting a low riverside gun battery, defended to landward by a bastioned trace. It was initially armed with thirty cannons: twenty 20-pounders and ten 10-pounders. 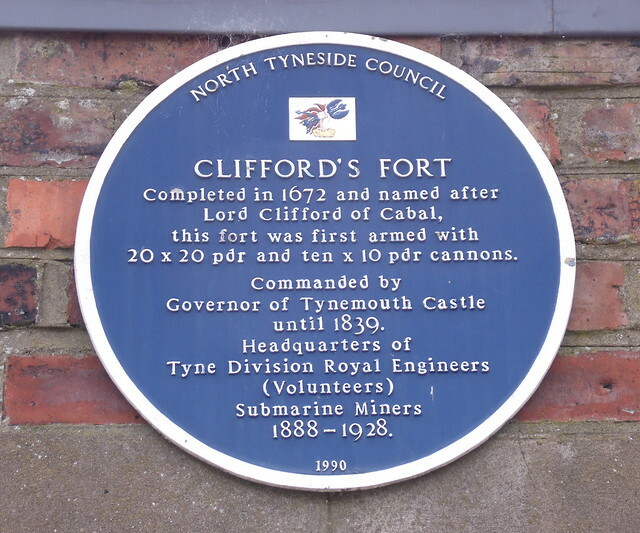 Clifford's Fort was, from its beginnings, associated with the long-established nearby defences of Tynemouth Castle, and the Governor of Tynemouth had oversight of the Fort through until 1839. By the time the fort was built, however, the castle had fallen into a ruinous state and the fort therefore took over as the main defender of the river. 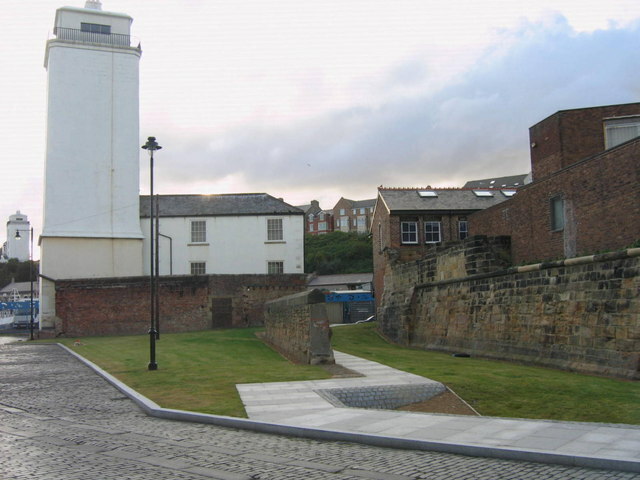 The building of the fort interfered with a lighthouse which had been established on the site by Trinity House of Newcastle-upon-Tyne in 1539, and this remained a point of contention in subsequent decades (not least because the force of the guns, when fired, damaged the lantern). In the 18th century there was much reconstruction, and the current seaward walls of sandstone ashlar date from that time. By 1720 the redoubt had been reconstructed to serve as a barracks for a company of Invalids (military veterans who helped man the guns), with a gunpowder magazine in the basement (as shown on a map of 1720 now in the British Library). The fort continued to be well-maintained; however the building of a new Governor's House in 1726 obscured the old Low Light, which had to be rebuilt the following year. In 1748 the fort reportedly had "thirty-six 18-pounder guns in three batteries, and a large store of powder within the tower". The fort continued in use as a gun battery until the second half of the 19th century, when the building of the Tynemouth piers effectively rendered it obsolete. 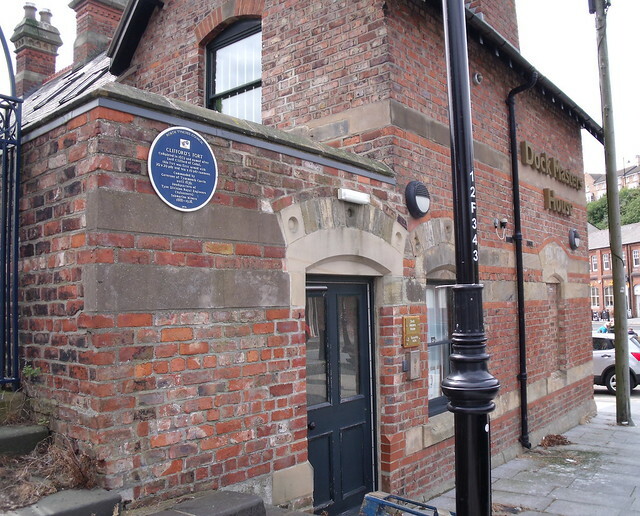 It was vacated in 1881, but in 1888 the fort became the headquarters of the newly-established Tyne Division Royal Engineers (Volunteers) Submarine Miners The division was one of a number of units around the country responsible for laying and maintaining fixed electro-mechanical mines as port defences. The mines were fired remotely by way of submarine cables, stored in three large tanks alongside the eastern wall of the fort. 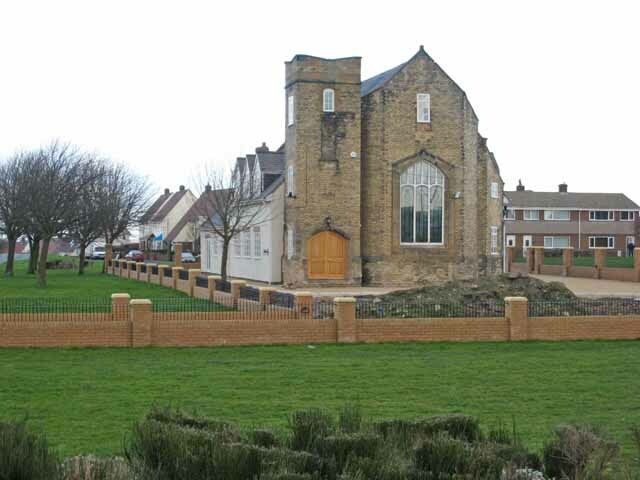 Several new buildings were established on the site at this time and the old tower or 'keep' was demolished in 1893. At the turn of the century a pair of 6-pounder quick firing guns were installed on the site to defend the minefield. The fort continued to function as an extension to the Fish Quay through the century, though as time went on its surviving fabric suffered, parts of the fortifications being demolished as buildings were added or extended. 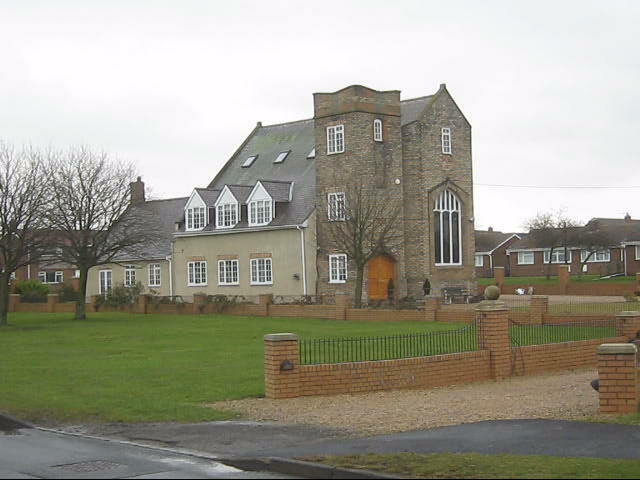 The Master Gunner's house at the south-west corner of the site, dating from the mid-18th century, was demolished in 1973 to make way for a fish processing unit. Starting in 2008 the remains of the fort were comprehensively restored: a number of modern buildings were removed and the moat was reinstated. 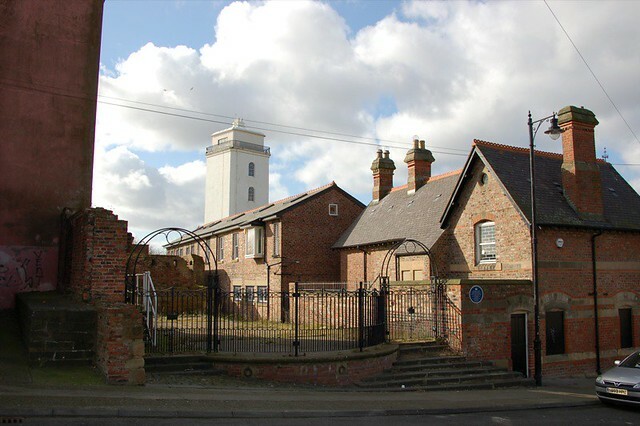 In 2013 the fort was removed from the Heritage at Risk Register; this followed a £1 million refurbishment scheme, funded by North Tyneside Council and the Heritage Lottery Fund, which completed the restoration of the fort and brought unused buildings back into use (including the Old Low Light, which opened to the public in 2015 as a museum telling the history of the site). Text from Wikipedia, available under the Creative Commons Attribution-ShareAlike License (accessed: 12/12/2017). Visit the page: Clifford's Fort for references and further details. You can contribute to this article on Wikipedia. 17th-century west wall with musket ports. A postern to the left originally provided access to the lighthouse. Buildings on the fort today (left-right): Smokehouses (formerly mine stores), Old Low Light, 'The Barracks' (c.1893) and fishmongers' stalls. - "Smoke house, formerly barracks building; 2 military fort boundary stones. Circa 1920 smoke house built on mid C19 military building; mid C19 boundary stones......"